Very on brand. 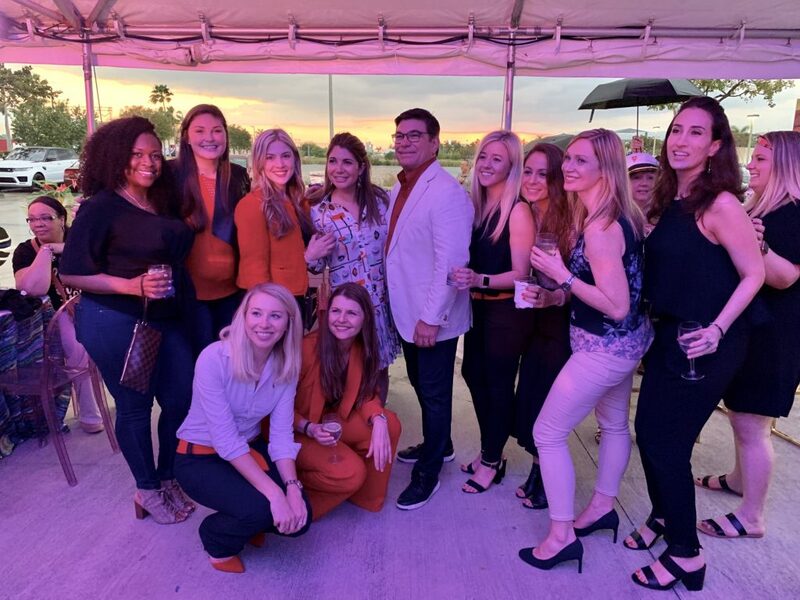 That was the vibe of Virgin Voyages warehouse party last night in South Florida for curious cruisers eager to check out the interior of what may be the most anticipated ship ever built. 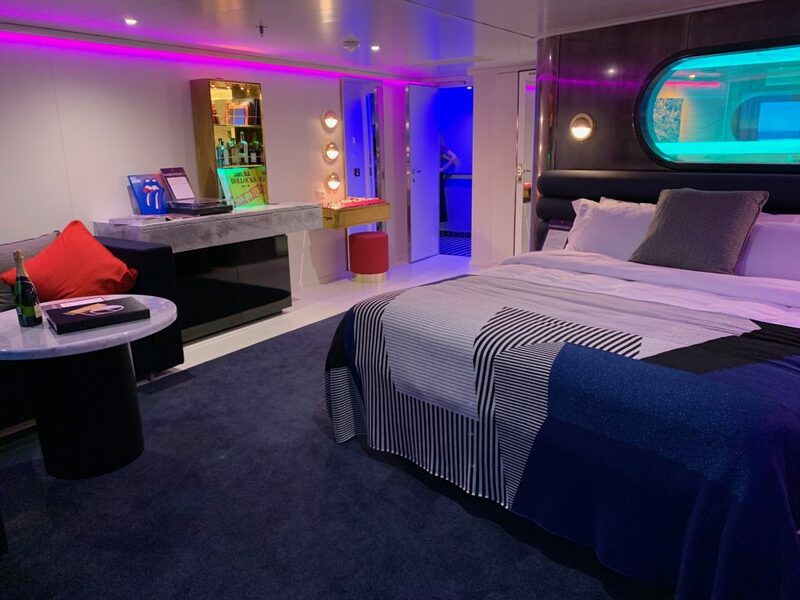 Between the roller disco theme, scrumptious bites, and lots of dancing, Virgin even found time to build life-size replica versions of a suite and terrace room which party guests coming from CLIA Global’s Cruise 360 event could explore. 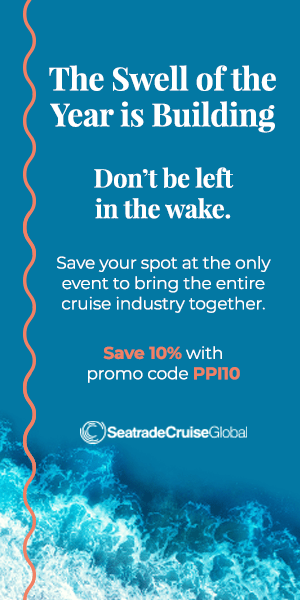 The event featured an appearance by the cruise line’s CEO Tom McAlpin and a number of other prominent team members who were happy to share their excitement about Scarlet Lady to all in attendance. When it comes to throwing a party, Virgin Voyages knows what they’re doing. When we arrived, an illuminated multi-colored disco floor sat waiting and a TON of disco balls revolved overhead. Staff came around with disco ball drinks and metal straw kits and invited us to sample a specialty drink made from a gin and tea infusion. 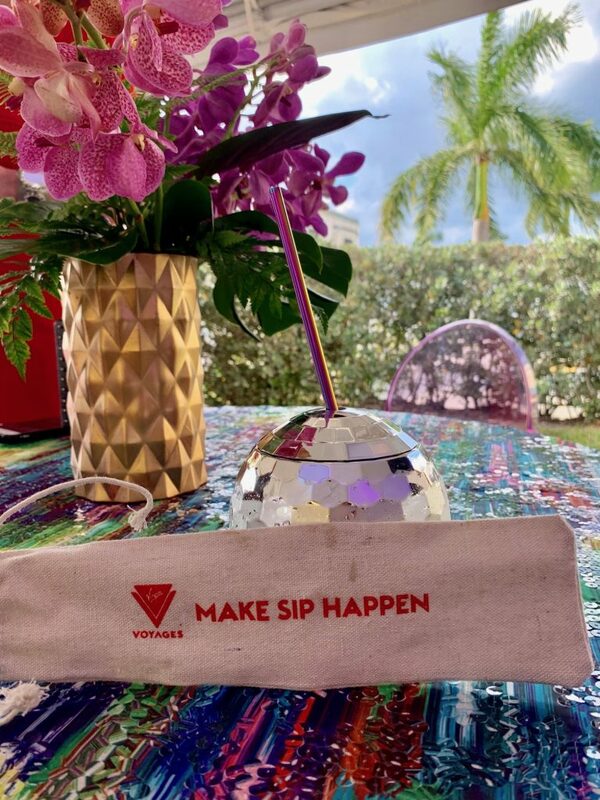 The metal straws were in line with Virgin Voyage’s commitment to ending single-use plastics and looked pretty cool too! The bites we enjoyed were a sampling of some of the flavors we might find onboard once the ship is delivered and included tasty vegan options as well. A DJ spun some of the 70’s most popular disco tracks throughout the event and the team of roller disco dancers spun around the dance floor posing for pictures and dancing with guests. The real reason for the party was the reveal some of the new cabins on board Scarlet Lady. The first cabin we toured was the suite which had some familiar stateroom features with a whole lot of innovative new ideas. The first thing you notice is the size. 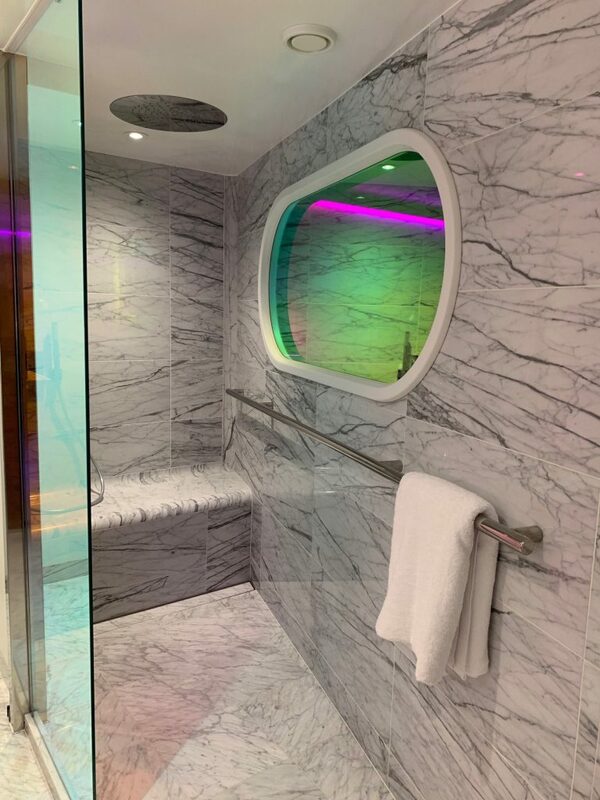 The smallest suite on board the ship is still over 350 sq ft and includes a fully stocked bar, peek-a-boo shower, a real record player with tunes and of course, a balcony. 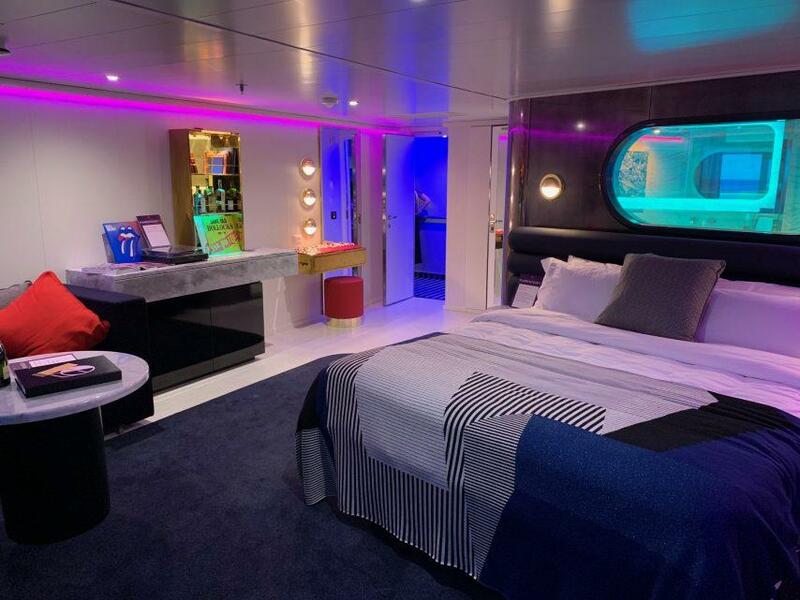 The suite built for the party was the Gorgeous Suite which includes all the above features as well as an outdoor shower, a king bed, and in true rockstar style, the option for a personal rider list to really take your cruise to the next level. The Sea Terrace room we viewed next felt more familiar for a cruise ship cabin but still had a couple of unique wrinkles which made the room more functional. Like the suite, this room also had a balcony hammock that looks like an incredible place to relax. 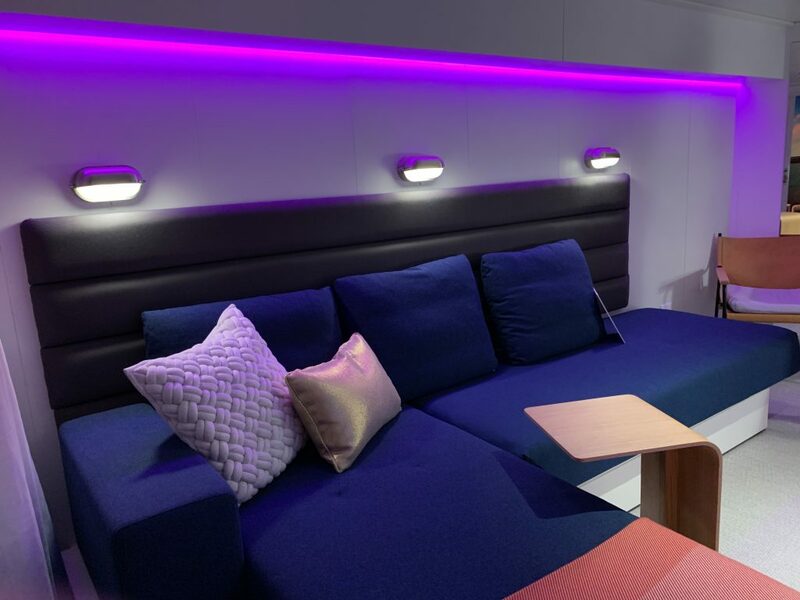 Mood lighting changes throughout the day depending on the ships location and switches to an eco-mode when guests are out and about to help conserve energy. 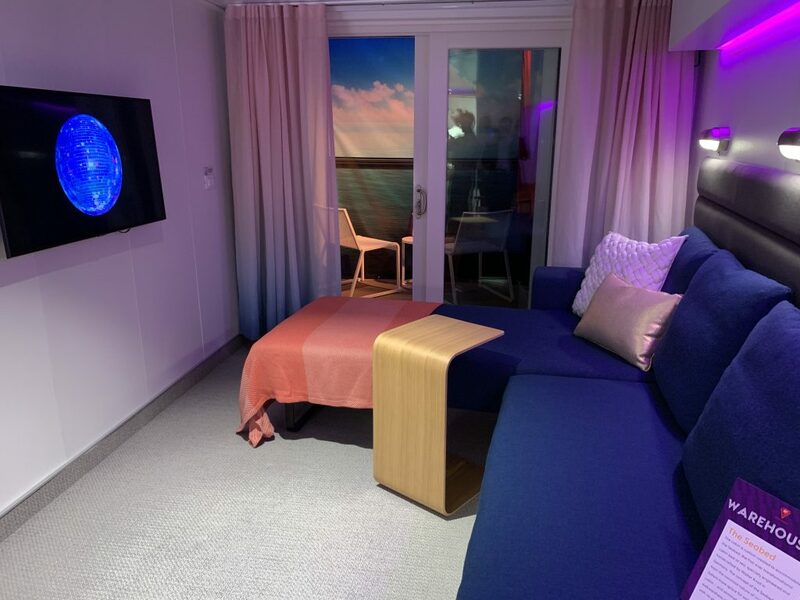 The Seabed is another cool feature of the Sea Terrace cabins which may catch on with other new cruise ships in the future. The bed converts into a couch and lounger during the day for a better hangout spot. Then at night, it slides together with a pillow topper for a comfortable night’s sleep. Spending the evening with Virgin Voyages made it clear they take cruising seriously! 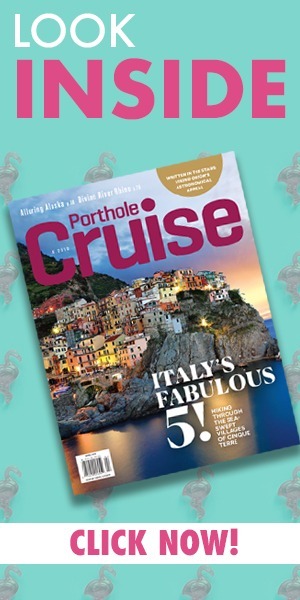 Their new ship very well may usher in a new age of cruising where your next vacation is a chance to party like a rockstar!